In 2017 youth tobacco use rose for the first time in 17 years in the state of Minnesota, as a result of e.cigarette/vape use. An astounding 1 in 5 Minnesota high school students reporting e-cigarette use, marking a nearly 50% increase since last data collection in 2014. The tobacco industry spent over $115 million on advertising alone in Minnesota last year, with much of their product and flavor profiles directly targeted at and for youth. Of extreme concern is that the latest research shows that teens who try e-cigs are almost twice as likely to start smoking traditional cigarettes (as compared with their peers who abstain from e.cigs) and 1 in 3 report using the device for recreational marijuana as well. With 95% of adult smokers, having started before the age of 21, it is essential we improve strategies to prevent this growing trend. Check out what's going on in our community and how you can help! As result of these trends, and ongoing research regarding youth chemical use and future addiction risk, the City of Minnetonka supported progressive public health preventative changes to current ordinances, voting unanimously to increase tobacco sales age to 21. Minnetonka now represents the 12th Minnesota community to adopt such change in tobacco policy. Tobacco 21 will go into affect within the city of Minnetonka beginning January 1, 2019. What is Vaping….Vaping is the act of inhaling and exhaling an aerosol, often referred to as vapor, which is produced by an e-cigarette or similar device. The term is used because e-cigarettes do not produce tobacco smoke, but rather an aerosol, often mistaken for water vapor, that actually consists of fine particles. Many of these particles contain varying amounts of toxic chemicals, which have been linked to cancer, as well as respiratory and heart disease. What’s in it… The e-liquid is generally composed of propylene glycol or vegetable glycerin-based liquid with a varying degree of nicotine, as well as a variety of other chemicals (formaldehyde) and metals (lead). These devices can also be used with THC-containing (component responsible for marijuana's mind-altering effects) or even synthetic drugs like flakka (amphetamine like effects). What’s it smell like… Because the e-liquids come in a variety of flavors, there are a variety of odors which range from fruity to floral. E-cigarettes and vapor devices will not smell like traditional tobacco products, or in the case of THC- containing liquids, like marijuana. Thus, it readily goes unnoticed for the unsuspecting. What’s the harm… Nicotine is addictive and is particularly harmful to the developing adolescent brain. Evidence suggests that nicotine interferes with brain maturation and can have a long-term effect on cognitive development and mental health even with brief or intermittent nicotine exposure during adolescence. Similar to opiates (heroin), nicotine acts on the brain’s pleasure pathways, creating feelings of satisfaction and pleasure. 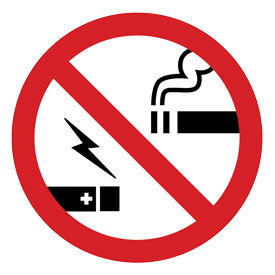 Research also indicates that nicotine exposure can also increase the risk of addiction to other harmful substances. Moreover, these aerosols result in exposure to variety of other harmful chemicals and carcinogens. Tobacco 21, purposes an increase in the minimum age of tobacco sales (including vape products and e.cigarettes) from 18 to 21. Research indicates that raising the legal sale age from 18 to 21, would greatly reduce youth tobacco use and prevent kids from starting to smoke, according to a 2015 Institute of Medicine report. Notably, the report estimated there would be a 25 percent reduction in smoking initiation among 15-to-17-year-olds if the age to purchase tobacco were raised to 21. According to the Minnesota Department of Health, raising the legal sale age to 21 would have a one-time effect of preventing over 3,300 young Minnesotans from starting to smoke, according to a January 2017 Minnesota Medicine article. And, would subsequently prevent an estimated 30,000 Minnesota youth from starting to smoke over a 15-year period.